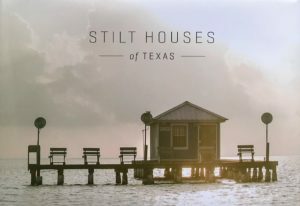 A new book highlights the unique architecture of stilt houses of coastal Texas. 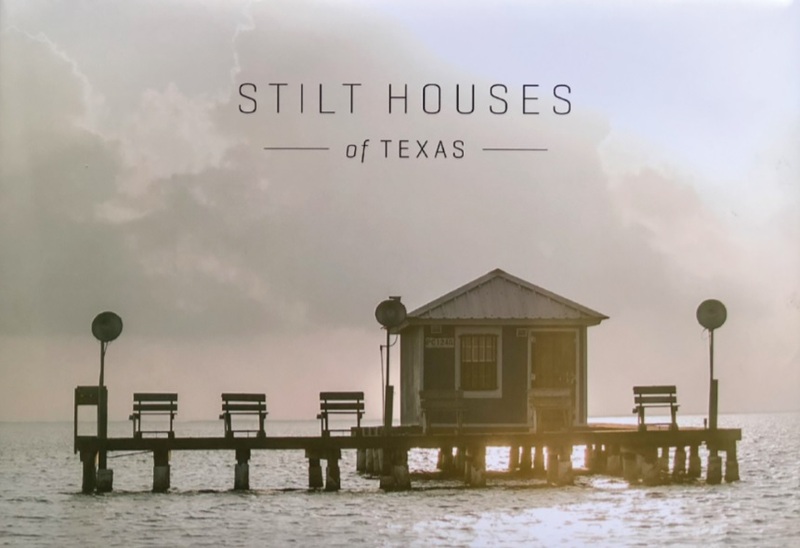 Stilt Houses of Texas is authored by Michael J. Medrano with photography by Tim Romano. There’s no feeling like that of heading out onto the water—for 1 or 8 hours or even days. The transition from land to sea, dock to vessel, can’t be fully captured by a camera or summed up in words but it’s tangible—you know it when you’re there, you can smell it, you can feel it, you’re so thankful—it’s real. The journey began for me in the 1990s when I was invited as a guest to duck hunt and fishover the weekend at a cabin in Baffin Bay. The weekend was incredible—an adventure in every regard. The excursion required planning, supplies, time, courage and gear—lots of it. I was hooked. The weather was miserable, a cold front arrived and it rained. Despite the conditions we had a successful hunt and we caught fish. That story was told and retold and the mystery behind the cabin unfolded—how in the world can I get a place like that…? Stilt Houses of Texas began then; on that cold, wet and camaraderie-filled weekend trip to Baffin Bay. Through the years, I continued to dream of one day having a place like that—a place so remote, so unique, and so intentional. Like chasing a particular species with a vengeance, I became versed in the ways of the cabin program. I learned about the restrictions and the commitments and the agency that is tasked with governing the program. Finally, in the spring of 2012 my cabin quest culminated in the issuance of a permit for a cabin in Cameron County—PC 1554. My sense of fishing adventure has evolved over the years. I suspect this happens for most… Forme it first began with offshore pursuits, then wade fishing, then inshore fly-fishing. I’ve begun to travel with my fly rod some more as well: Bahamas, Belize, Florida, Christmas Island and there’s a longer list still unvisited… But coming back to fish “home” waters for me is like jumping into my bed after a long trip. It just feels right. That desire to see a sunrise or a sunset on the dock of the cabin is just as appealing as it was 20 years ago after that winter trip to Baffin Bay. Last summer, I decided to create a book for those who, like me, are constantly longing to be on the water. A book that attempts to capture the vastness of a neighborhood on stilts located mainly along the inshore coastal waterway. This book opens that speakeasy of a community into a bar, one that you can visit as you turn the pages and come back to from time to time. The Texas coastal inshore fishery is varied and beautiful. It comprises namely three regions, the upper, middle and lower areas of the coast. All of these regions are connected via the intracoastal waterway, which stretches in this state 379 miles from the lower coast of Texas to the border with Louisiana and then continues further all the way to Florida. This project began with a plan to photograph the roughly 400 cabins beginning with the upper coast in the Galveston Bay area and then finishing in the lower coast at South Padre Island. Renowned outdoor photographer Tim Romano agreed that this was a worthy subject although daunting in scope. We began this journey together as we boarded the Maverick HPX-T skiff early one morning in June. What we experienced together are the pearls found when you spend time outdoors—moments, little things that happen because you had your eyes open and you were present—dolphins that surfaced right at the boat, birds on aerobatic display feeding around us as if we were standing in the middle of the buffet line that had just opened, and animals and fish in places that we wouldn’t ever imagine. That summer, we logged more than 100 hours together on that skiff, soaking it all in, the lens pointed and the shutter clicking. We teamed up with local fly fishing guides in the three coastal regions to show us around. We poled our boat behind these guides in areas that few have ever been and drove the skiff into back bays and lakes that rival fisheries in far-off and distant places. In chronicling these cabins along the Texas coast one quickly realizes that ingenuity and resourcefulness are requisites for the dwellers that occupy these houses in a subdivision located in the water. We met people who invited us in, showed us around, gave us a drink and told us stories. They were delighted that someone was finally going to tell the story about this Texas treasure. They wanted in the book and they sent us to their neighbors. 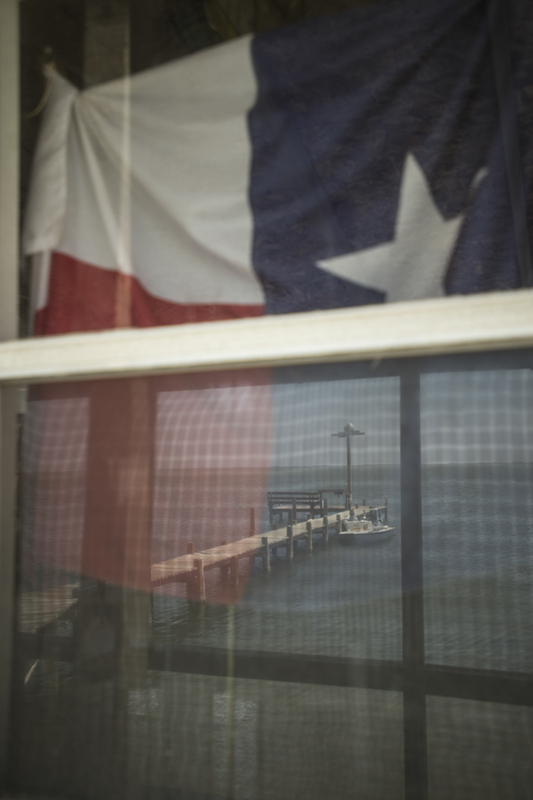 In Stilt Houses of Texas, we’ve attempted to capture the essence of these inhabitants as well as their structures. They are all colorful. In some cases, as you’ll see, these houses defy architectural aesthetics in favor of form and function. However, they all have one thing in common: Their foundations are formed on stilts.